Appeared in the Corporate Area Resident Magistrate’s Court, denied bail. Jury selection completed. Calvin Haye, fashioner designer, freed after the Crown offered no evidence against him. Prosecution outlines its case against Kartel and the four other accused. 1)Onika Jackson, girlfriend of Lizard Williams, testified that she received text messages from him on August 16, 2011, that he was on his way in a taxi to Kartel’s house and he feared for his life. 2) Williams’ sister, Stephanie Breakenridge, wept as she testified about seeing her brother and the prosecution’s main witness in her living room on August 14, 2011 looking as if they had seen a ghost while sending text messages and talking on their cell phones. Admits under cross-examination that Lizard had been charged with firearm offences. (3) Detective Constable Averell Thomas of the Major Investigations Task Force testifies that on August 22, 2011 he went to Swallowfield Avenue, Havendale where, he saw what appeared to be blood stains on a door jamb. He swabbed the area and placed crime-scene markers around the blood stains. The swabs were taken to the government forensic laboratory to be analysed. (4) Deputy Superintendent Winston Henderson said following instructions from Senior Superintendent Cornwall ‘Bigga’ Ford, the officer in charge of the Flying Squad, he assembled a team and executed warrants on three houses belonging to Kartel. During a search of a house in Norbrook, the police seized 12 passports in various names. They also went to search a house at 7 Swallowfield Avenue, Havendale but the house was a burnt-out shell. 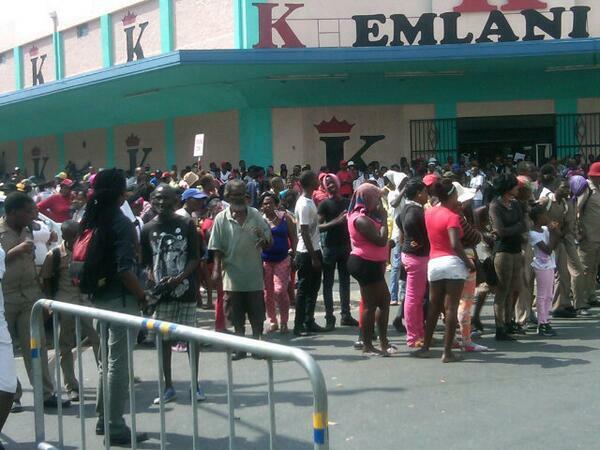 A raid was carried out at a house in Independence City, St Catherine, but nothing was found. (5) Senior Supt Cornwall Ford denied suggestions from defence lawyers that the presence of the media with cameras at Kartel’s premises was part of a conspiracy to ensure a conviction for the entertainer. He said he did not know how the media got there. (6) Retired Assistant Commissioner of Police Granville Gause said on August 24 2011, the prosecution’s main witness was brought to his office and he was meeting him for the first time. The witness related an account to him and he told Detective Corporal Stewart to take a statement from him, and the witness gave the statement willingly. He said he and a team of police went with the witness to Havendale where the witness pointed out a house belonging to Kartel. Cross-examined, he said the person who brought the witness to him was a paid informant, but at the time the person brought the witness, he was not acting as a paid informer. (7) Special Constable Kayan Murphy, assigned to the Flying Squad, said on September 30, 2011, she went with a team of police personnel to the Altamont Court Hotel, Kingston. She said she went to a room where she saw the accused Shane Williams and Andre St John. The room was searched and they seized several items including two mobile phones. A BlackBerry phone was seized, and St John said he was the owner of that phone. She admitted under cross-examination that she made a mistake when she attempted in court to identify the accused man who handed over two phones to her in the hotel room. (8) Nicola Brown Baxter, government forensic analyst, said on August 29, 2011, she went to Kartel’s Havendale house and observed several areas where fires were started as well as ignitable equipment. She said she saw several burnt items in the house, and from her analysis, the fire was deliberately set. Cross-examined, she said no one was at the house when she went there. (9) Corporal Windell Reid testified of taking a missing person report from Lizard’s sister. He said he made calls to hospitals and police stations, but got no useful information. (10) Constable Adebe Pitt said he got a number of cell phones from his superior officers and took them to the Cybercrimes Unit and got a receipt. (11) Prosecution’s main witness outlined to the court how Shawn Storm took him and Lizard in Needfa’s taxi to Kartel’s house in Havendale. He said Shawn Storm never came out of the car. The witness said while he and Lizard were in the house with Kartel and other men, Kahira Jones held him from behind and he ran into another room. Men came after him and before he ran from the premises, he saw Lizard lying motionless on the floor. He said Andre St John had a building block in his hand. He said he was able to see from the light from a cell phone in the house. Under cross-examination, he denied writing a letter to the Public Defender which stated that the police forced him to give a statement. He also denied that he had seen Lizard after August 16, 2011. (12) Government forensic analyst Sherron Brydson said her lab received a sample from Constable Thomas. She said she went to the house at Havendale and collected samples. A sample collected from the living room was examined for blood and DNA analysis. She received a positive result for blood which was human in origin and belonged to a male. There was no body, therefore, swabs were taking from Daniel Williams, an uncle of the alleged deceased, for analysis, but the results did not match the sample taken from the house. (13) Corporal Shawn Howard form Organised Crime Investigation Division (OCID) outlined a number of items he received from Corporal Pitt on October 3, 2011. He recorded the details of the items in a book, and Pitt signed in the book. Void dire (hearing in the absence of the jury) and break for the festive season. Trial resumes. Court receives report that during the Christmas holidays, one of the jurors had turned up at the office of one of the defence lawyers. The lawyer did not speak to the juror. Justice Lennox Campbell held an inquiry in his chambers in relation to the report. On resumption, the judge said he was firmly of the view that what transpired would not affect the case. (14) Corporal Heather Forrest testified of arresting Andre St John and Shane Williams at the Altamont Court Hotel. (15) Josephs Simmonds, group business risk director for telecommunications company Digicel, said he received a request from the Jamaica Constabulary Force. Following the request, he provided two company discs with data of text messages. One was a working copy for the police labelled ‘JS2′, and the other was a sealed copy for the court, labelled ‘JS1′. He said he handed them over to Corporal Shawn Brown. Simmonds said of the 40 phones for which the police requested information, none of them was “ascribed” to Kartel and his co-accused. The disc, JS2, was tendered in evidence. The court was told that JS1, which was the secured copy to make comparisons with the text messages retrieved from JS2, was missing. Under cross-examination, Simmonds said the information on JS2 could be copied and modified and he would need JS1 to verify the information on JS2. (16) Corporal Shawn Brown of the Communications and Forensic Unit of OCID introduced the text messages he retrieved from the cellular phones on a PowerPoint presentation. He said he prepared a schedule of the phone calls and the cell site locations. There was a message from a phone attributed to Lizard sent to his girlfriend’s phone on August 16, 2011, pleading with her to call the police, saying: “Teecha send call we,” and he feared for his life. There was a message at 7:08 p.m. stating: “Please tell them that Vybz Kartel a go kill me, please baby.” There was another text message at 7:11 p.m., stating: “Shawn can’t save we please we in a Needfa car a drive go up there.” The last text message from Lizard’s phone was at 7:20 p.m., in which he was telling his girlfriend to tell his sister to call the police. There was a text message sent on August 14, 2011 from a phone attributed to Shawn Storm to a phone attributed to Kartel, saying: “Mi boss wi affi get back dem ting de boss.” There were text messages allegedly sent by Shawn Storm to his girlfriend, saying: “Serious ting and people a go dead and who tief it a go dead.” Another message said: “How much fi deal wid every ting fi Lizzy.” It was pointed out to Brown under cross-examination that the text message referring to ‘Lizzy’ was Shawn Storm asking his child’s mother how much it would cost to deal with school supplies for his daughter. Brown admitted that he had taken that text message out of context. He denied suggestions that his analysis was unfair and incomplete. (17) Rudolph Miles, Cable and Wireless regional fraud risk manager, said following a request by the police, he provided subscriber information in relation to several Personal Identification Numbers (PIN). One was a PIN was for a customer account with a phone number for Adidja Palmer. It showed the account was activated in February 2011 and became inactive in June 2013. (18) Inspector Warren Williams, head of the Cybercrimes Unit, said a request was made to him in October 2011 in relation to a murder investigation which took place in August 2011. He received cell-site information with one place of interest being Havendale. He requested schedule information from Corporal Shawn Brown. He said based on the schedule the places of interest were Meadowbrook, Havendale, Andrew’s Memorial Hospital and Mannings Hill Road. He made a PowerPoint presentation of his survey of the cell sites in those areas. Under cross-examination, it was suggested to him that he wrongly identified Kartel’s house in Havendale by placing it on the opposite side of the road. He said the house was pointed out to him by the investigator on the case. He admitted that in the Christine Hewitt murder case, he had placed the murder scene in one location, while the other witnesses had placed it miles away in a different location. He said it would be a breach of policy for a cell phone to be used to make calls while it was in police custody. Senior Superintendent Cornwall Bigga Ford of the Flying Squad testified that at about 11 p.m., on August 29, 2011, he assembled a team and went to the Altamont Court Hotel. He said he had search warrants and he went to a particular room at the hotel where he saw Kartel and a female. He identified himself to Kartel and told him of the search warrant. 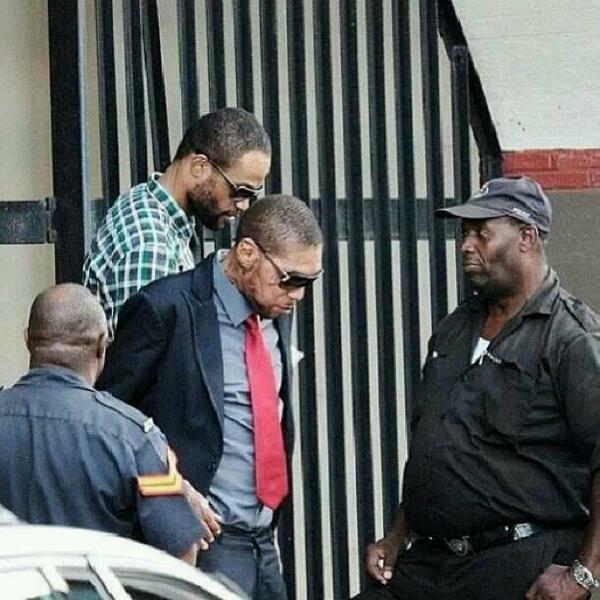 He asked Kartel to secure his property and Kartel took up four cell phones and some musical equipment. Kartel handed over the phones to him and he made notes of the particulars of the phone in his notebook. He said when he returned to his office, he recorded a statement from the notes in his notebook. He said he could not find the notebook as it got lost during the relocation of his office. He was allowed to read the particulars of the phones from his statement. The phones, which were two BlackBerry Torches, one BlackBerry Gold, and one Apple iPhone, were handed over to Corporal Pitt. Linton responded: “I don’t recall. Facebook is hackable.” Defence lawyers questioned Linton as to how the BlackBerry cell phone attributed to Kartel was used to make several calls when it was locked up for safe keeping in his exhibit locker. In response to Tavares-Finson and attorney-at-law Pierre Rogers, Linton said he had no explanation for that. He said the key was put on top of the locker and he did not take it home with him. He said when he received the phones on October 3, 2011 from the Flying Squad, he locked them up and he did not access them until October 14, 2011. The lawyers suggested to the witness that the BlackBerry phone was used on October 9, 2011, to make several calls and that the integrity of the phone was compromised. Linton said he could not say it was compromised. He agreed that the phone was put in the locker for safe keeping. Tavares-Finson also suggested to the witness that phone messages referring to Kartel as a flight risk were put in when bail application was being made for the entertainer. Linton denied that suggestion. He said all that happened was that the investigating officer had asked him to write a forensic report in relation to information from the BlackBerry messages. (21) Constable Kemar Wilks, a digital forensic examiner and crime investigator, said Sergeant Patrick Linton gave him two compact discs on November 24, 2011. He said he recorded what was on the discs in his statement. One of the discs had 40 voice notes, while the other was a video, and he prepared a statement from the voice recordings. The transcript of the recordings were tendered into evidence despite objections from the defence lawyers that Linton had said earlier in his testimony he could not vouch for the integrity of the contents of the CDs. The Crown is alleging that Clive ‘Lizard’ Williams was beaten to death on August 16, 2011, at Kartel’s house in Havendale, St Andrew, over two missing guns. Cross-examined by defence lawyer Pierre Rogers, Wilks agreed that videos and voices could be manipulated. He said he did not see the face of anyone who was speaking in the video. Wilks said each person at his office had a secured storage area and his own personal key. Questioned as to whether he left his key on top of his storage area, the witness said, “No, sir”. (23) Deputy Superintendent Vernal Thompson, lead investigator in the case, said under cross-examination that there were criminals within the ranks of the Jamaica Constabulary Force. Thompson was responding to evidence given earlier, that persons other than the dedicated forensic examiner were interfering with the phones taken from Kartel as well as the data in the instrument. “I am most concerned but not surprised,” Thompson said. “Even in the Jamaica Constabulary Force,” Thompson responded. Presiding judge Lennox Campbell later asked Thompson whether any of those unscrupulous persons were involved in the investigation against Kartel and his four co-accused. “No sir, they are all persons of reputable character,” Thompson replied. Prosecution’s main witness was recalled and he identified Kartel’s voice in several voice notes threatening to do harm if the shoes (guns) were not returned by a certain time. The witness also identified a voice in a video to be that of Williams. The witness also identified photographs that were allegedly taken from a cell phone which is an exhibit in the case. He was shown photographs in which he identified Kartel, Shane Williams and Andre St John also called “Mad Sus”. The witness admitted under cross-examination from defence lawyer Everton Dewar that he had never spoken to Williams over the telephone. One of the jurors was released for personal reasons. No case submissions by defence lawyers and response by the prosecutors. Judge rules case to answer. All five men gave unsworn statements denying being involved in any murder. Kartel and three of the four co-accused found guilty.